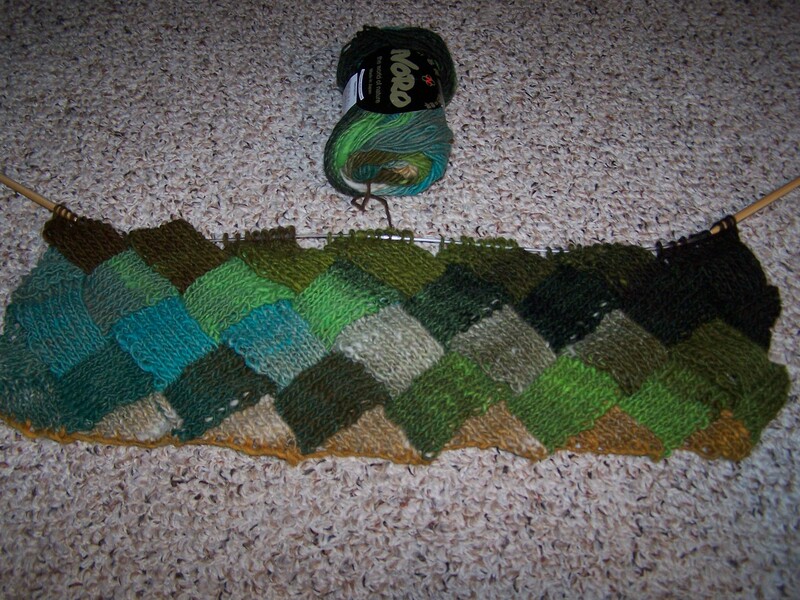 Well, I started the Lady Eleanor Wrap. Four rows down, about 36 more to go. 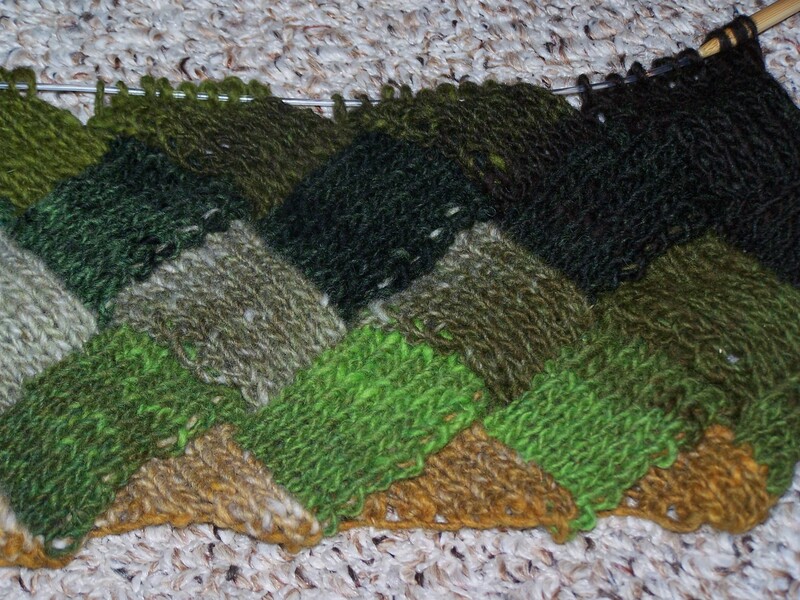 It is my second time to try the whole entrelac thing. The first time, there was no redeeming quality about the experience. It did not look good. The first attempts at knitting from my four year old niece looked better than whatever it was that came off my needles. I hated every minute. I have no idea what is different this time, but it seems to be getting better. The instructions are easy to follow, and my technique has definitely gotten better. There are a few things that could be better. I’m going to leave it there as a reminder that things get better with time and practice. 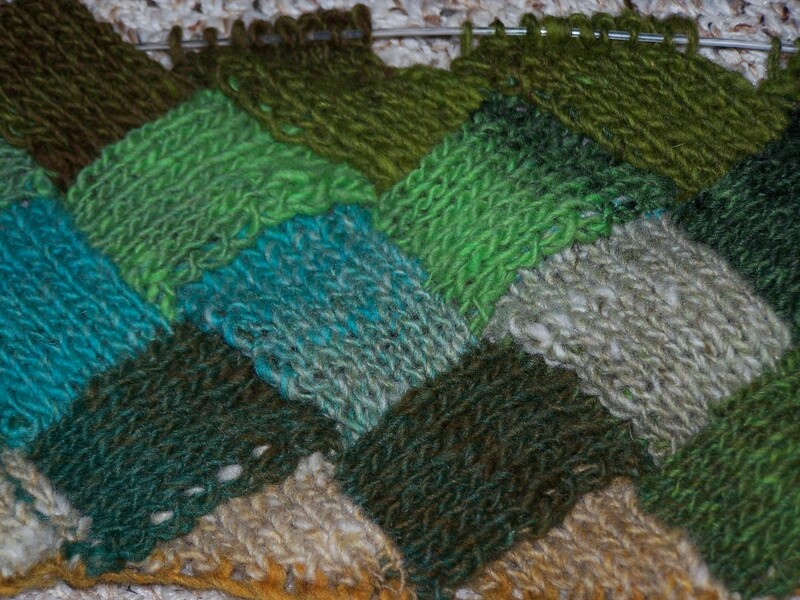 It is my first time working with Noro. I am not sure how I feel about it. I am really enjoying the colors. All the blues and greens with a little neutral camel and black thrown into the mix is about the best combination. I am not so sure about the texture. It is a little rough. From what everyone says, it will soften up. I am going to trust that it will. I can not pass up having a wrap with these great colors. I’m also surprised how quickly it is knitting up. I thought this was going to be a project that lasted until the end of the year, but I have a feeling I will be done by the end of the month. I was a little scared that this project would be a let down after all the waiting, but it isn’t. It is exciting.